You’re late. Live From The Moon streamed on surfingmagazine.com from Wednesday, March 19th until Friday, March 21st. Click here to buy the movie on iTunes or here to buy it on DVD. 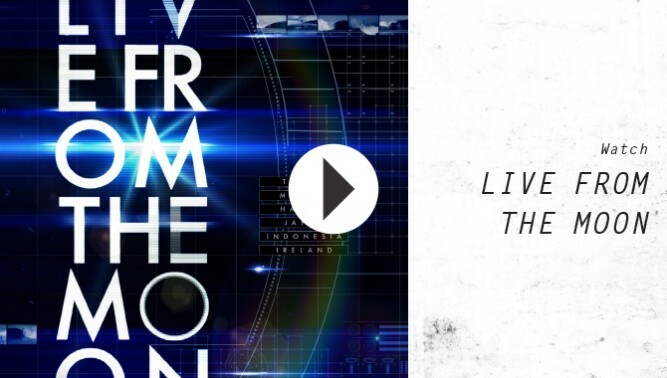 SURFING MAGAZINE: Live From The Moon seems like an ironic theme for a surf film. Tell us about it. GREG BROWNING: Our original goal was to really utilize the skills of our surfers. They're all incredible at reading swell maps and they like to seek out those waves that, for most people, aren't really even waves. The concept was to go to the places that are really hard to get good and we realized it's kind of like the JFK speech (the speech in the introduction) where he says, 'we choose to go to the moon…and do the other things, not because they are easy, but because they are hard." This film is dominated by outrageous barrels. What was the method for wave hunting? When you think about going on a surf trip, you think about getting barreled. And when you're using the swell maps to pick your locations, you really give yourself the opportunity to get barreled every day. The strategy was kind of like, "There's a big swell coming. Alright, let's book tickets. Let's go!" It's more expensive to do it that way, but man, world-changing stuff happens when you do. Ireland was heavy, and Anthony's favorite trip of the film. Did you share that sentiment? That was a trip that Anthony set up and we didn't know what to expect. None of us had been to Ireland before. But on any trip with Anthony you're going to surf waves that most people don't want to surf. I loved Ireland, but I probably wouldn't have surfed half of the waves they surfed, because some of them just aren't waves. I kept finding myself thinking, 'That just doesn't look rideable.' But to them, that's what they were looking for. (see 35:41). Our latest issue (on newsstands now) features the film's trip to Japan and the team's take on surfing near Fukushima. What's your take on that? Japan is always on my list because I've gotten those sandbars over there really good before, and I haven't seen much footage of it since those guys went over there for Lost Atlas. It's there, going off, every time there's one of those giant typhoons. But I didn't even get to go this time, so I really didn't think twice about the Fukushima situation. We saw the swell and were like, "let's go!" Then when they were heading over there I think they were kind of like, "Oh, right…that happened!" What's next for Body Glove Entertainment? This year we signed Mason Ho, and Mason's another one of those guys who's always putting stuff out on his own. Jamie's got his Red Bull series, Anthony's got his GoPro stuff, and Alex is all over the place, so we'll be working to support the guys doing their own projects and getting them everywhere they need to go. Our other goal for now is to get Live from the Moon into Surfer Poll. And we got a whole bunch of new camera equipment, so we'll probably be putting together another project in 2015.